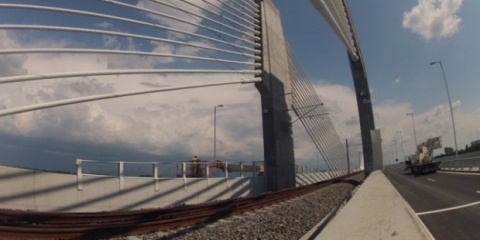 The fees on both sides of the Danube Bridge, which connects the cities of Ruse and Giurgiu, will become almost equal as of the beginning of September. The fee for crossing the bridge is now EUR 6 on the Romanian side and EUR 2 on the Bulgarian side, according to reports of Darik radio. As of the beginning of September the fee for crossing the bridge on the Romanian side will be lowered to EUR 3. Romania agreed to lower its fees at the end of July at a meeting between Vasile Mustatea, President of the Giurgiu County, and Ventsislav Kalchev, District Governor of Ruse. The two officials discussed the 2014-2020 programming period of the Romania-Bulgaria Cross Border Cooperation Program. Both sides agreed on the need to build a second bridge connecting Ruse and Giurgiu, stressing that the issue of closing the existing bridge was not being contemplated at all because the facility was extremely important for the economy of the two cities. The issue of a potential relocation of the Danube Bridge Secretariat from Romania's city of C?l?ra?i to Ruse or opening a representation of the Romania-Bulgaria Cross Border Cooperation Program in Ruse or Gurgevo was also discussed. It was decided that a working meeting would be held in Ruse in October, after which a new cooperation agreement between the Ruse municipal administration and the Giurgiu County Council would be signed by November at the latest.